New Novel  LEO AND FANG !! When his young neighbor loses her cat to a mysterious new virus, Ty Hopefin suspects that the virus is being propagated by animal-control vigilantes determined to kill outdoor cats. His investigation of project FANG leads him to a group of eco-activists called LEO trying to save “ferals and natives” from the virus. And after FANG deals LEO a devastating blow, Ty becomes its last best hope. 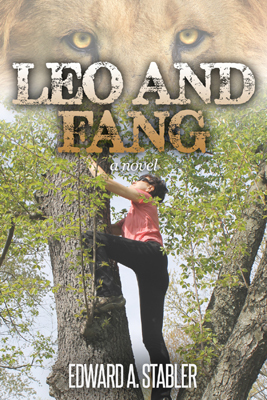 => download free sample or buy LEO AND FANG for $0.99 in the Amazon Kindle Store! In 1831, young Grace Alstyne is assaulted and killed in the woods beside the Potomac River by two workers helping to build the Chesapeake and Ohio Canal. As descendants of her brutish killers learn for generations, Grace will not go unavenged. The story begins with SWAINS LOCK, drifts to the Yukon with BURYING ZIMMERMAN, and returns to the C&O Canal with IF IT IS APRIL. Vin Illick finds a note from 1924 in an old shed next to the Chesapeake and Ohio Canal. The note alludes to killings at Swains Lock and a gravesite with buried money. Though his fiancee wants him to get a job, Vin becomes obsessed with finding the gravesite. In the process he learns that the past won’t stay buried, and that a confrontation with destiny and vengeance awaits him at Swains Lock. 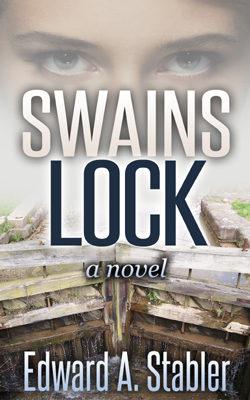 => download free sample or buy SWAINS LOCK for $0.99 in the Amazon Kindle Store! Two decades after his brother and the outlaw Gig Garrett shot each other in a burning cabin beside the Potomac river, Owen Thompson comes home to resolve his own guilt. He had planned to accompany Drew to Garrett's cabin. So had Henry Zimmerman, who vanished after the killings. Now Zimmerman has resurfaced, and Owen is determined to make him explain what happened the night Drew died. 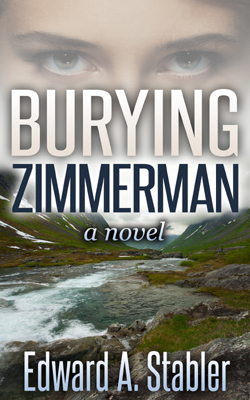 => download free sample or buy BURYING ZIMMERMAN for $0.99 in the Amazon Kindle Store! Young Jake Reed is jobless and just out of prison. When his father sends him downriver to repair a flood-damaged lock, Jake discovers a girl is hiding out in his father’s lockhouse. She says she has no memory of life before the flood. Jake learns that the girl is wanted by the sheriff and a vengeful moonshiner. If he can keep April safe until her memory returns, she’ll have an alibi. Or will she? 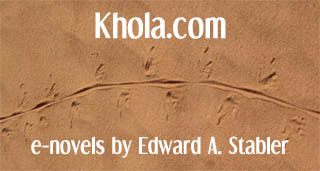 => download free sample or buy IF IT IS APRIL for $0.99 in the Amazon Kindle Store! Edward A. Stabler has spent hundreds of days exploring the C&O Canal and kayaking on the Potomac River near Great Falls. He and his wife Martha live in Arlington, Virginia with three dogs, three cats, and an unending stream of orphaned kittens they foster for a local animal-rescue organization. in the Spanish Pyrenees in 2011. "Very well researched and an interesting read... memorable characters and suspenseful scenes. It made the hair stand up on the back of my neck at many points and kept me interested to the end." "I just wanted to let you know that I really enjoyed your book and I hope to read anything more that you write." "...there are vivid descriptions of the canal, the surrounding area, the people, and a pervading mystery that keeps you guessing until the end of the book." "I got caught up in the story and liked it a lot... The book reads to me like the real thing." "The whole history of locks and the floods and the people whose lives revolved around them... fascinating. It reminded me a little bit of the John McPhee books, of which I am a great fan. ...the pace is good. Good tension, good revelations. Good surprise ending... had me ripping through it to reach the conclusion." "I just finished your book. Awesome. Loved it. Great ending." "The pace of the book is perfect, the writing is excellent and when I woke up at 2:30am a few nights ago I picked up the book to read a few more pages and couldn't put it down until I was finished an hour or so later." "Really good and enjoyable book that I could not put down." "Interesting characters, good dialog, and a mystery plot that holds your attention. Enjoy it." "I got really hooked in various places and pages flew by, particularly the last 70 or so... One can learn a lot reading the book. It is more than just a mystery... I think it would make a great movie too!" "This is the second page turner by Mr. Stabler, and although the main characters are different, Burying Zimmerman is best read after finishing Swains Lock. Essentially, this is the framed narrative of a murderer whose story is part fact and part fiction. He is haunted... by a ghost from his past that is part of an older curse that may or may not end seventy-plus years later with the events of the author's first novel  Swains Lock. It sounds confusing, but it all makes sense in the end. Historically, the author returns to the C&O Canal as a source of action, but the biggest part of Burying Zimmerman takes the reader to the Yukon goldfields of Canada and Alaska. The historical aspects of the novel are well-researched, and this book, along with Swains Lock, eventually resolves a long tale with numerous twists... you can't go wrong with either Burying Zimmerman or Swains Lock." "I really enjoyed the fact that it's based locally to DC, and also has a large part about the Klondike gold rush. We were just on a cruise to Alaska last summer, and took a bus to the area described in this book. Made it all the more interesting to me." "This book is part three of a trilogy, and I would highly recommend reading Swains Lock and Burying Zimmerman (in that order) before purchasing If It Is April. In fact, I would say that reading the first few pages of Swains Lock carefully is an absolute must. 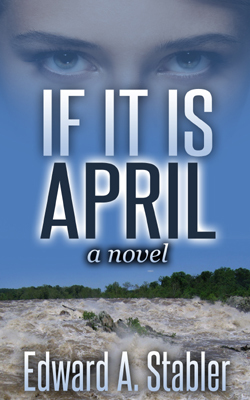 With that in mind, If It Is April gives readers an idea about what happens to Katie at the end of Swains Lock and clears up any of the loose ends found in the previous two novels. 'April' is a novel that will definitely appeal to anybody who has an interest in the history and geography of the Chesapeake and Ohio Canal. As a regular hiker and volunteer on the C&O, I feel pretty confident in saying that Mr. Stabler did his homework before he commenced writing the River Trilogy. I learned several facts that have added to my knowledge base of the canal and adjacent Potomac River. However, that's not to say that the author's work will only appeal to people from Maryland, West Virginia, Virginia, and Washington, DC. In fact, the trilogy has a lot to offer: Swains Lock is a mystery; Burying Zimmerman is a tense action narrative; and If It Is April has all of the elements of a love story. Tie in a paranormal twist, and I think Stabler's work will give interested readers many hours of entertainment at a very reasonable price." "Lost a day of work 'cause I couldn't put it down! Reading the last story ties all 3 together. Well done. Will there be another?" "Best characters of the three books. Looking for a sequel with April and Jake. Each book gets better. Looking forward to the next one."